Mars Google map location: 71 49’19.73″N 29 33’06.53″W Allegedly discovered and posted on YouTube by American amateur astronomer David Martines, and reported June 2, 2011, by U. K.'s The Sun. See Martines video link in Websites at end of report. June 14, 2011 Tempe, Arizona - On June 11, 2011, I reported an Earthfiles interview with Prof. James Bell, Ph.D., Prof. of Astronomy and Planetary Sciences, Arizona State University, in Tempe, Arizona, about the recent and controversial David Martines video at YouTube and related articles in the U. K. Daily Mail and The Sun. Please see 061111 Earthfiles. Prof. Bell is an astronomer and planetary scientist who uses remote sensing, field studies, and laboratory studies to explore the geology, mineralogy, origin, and evolution of planetary surfaces. His current research focuses mostly on the geology and mineralogy of Mars using data from the Spirit and Opportunity Mars rovers. He is the lead scientist for those cameras and also works with images from the other Mars orbiters. 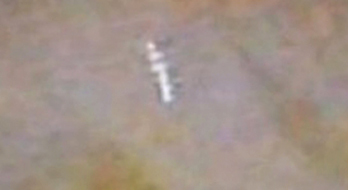 Previous PostPrevious Part 1: Is This A Structure On Mars? Planetary Scientist Replies.